Note: I've worked on these traks - or at least 6 of them that formed the core of this project - for about 15 years or so. It's time to put them out, warts & all. I know I said that last time, but this time it's more acceptable warts - to me, anyway. Please indulge the bulk of the following, which is my publicity write up for some of the distributing venues I'm on. Availible on iTunes, Amazon, Spotify, Google Play and all major venues. SPECIAL DISCOUNT PRICE on Bandcamp. Backing Tracks Recorded at Opal Studios in Portland, OR - a venue that has worked on recent releases by Scorpions & Animotion. Finishing Parts recorded at Perigee Studios, Unltd. 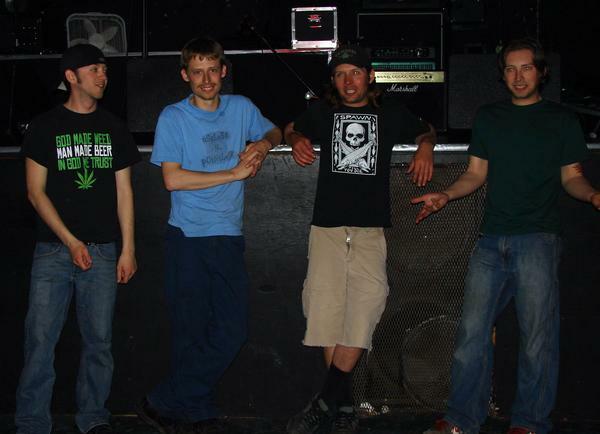 The basic tracks.were recorded at Opal Studios in Portland, OR - a venue that has worked on recent releases by Scorpions & Animotion. 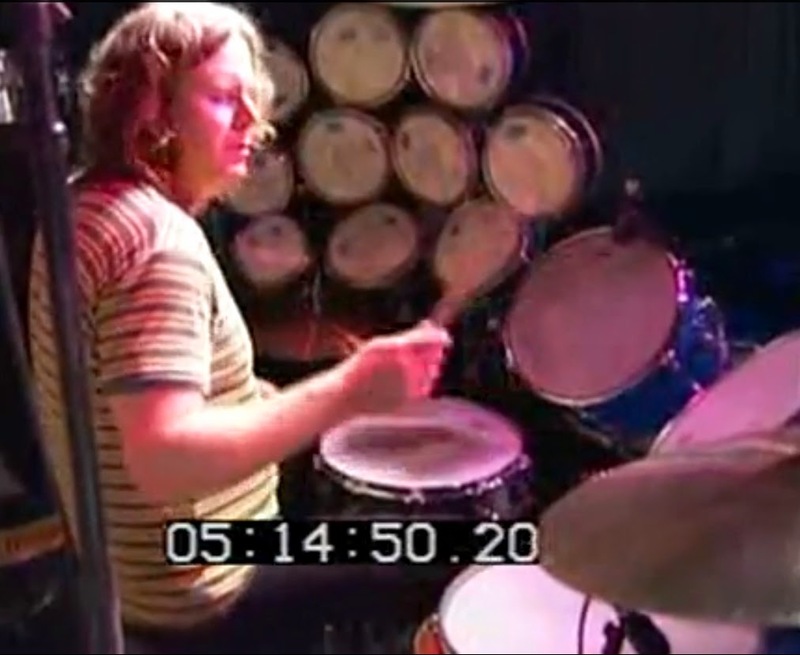 The album was finished at Kevin's private operation, Perigee Studios, Unltd. The music here brims with the influence of Bruce Springsteen, Tom Petty, The Kinks, Larry Norman, Bob Dylan. 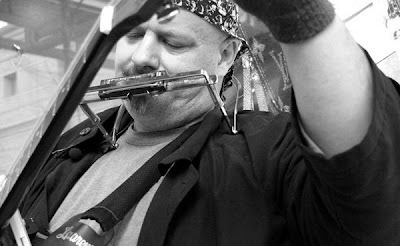 American Gospel/Blues artist Darrell Mansfield lends his harmonica talents on "This Ain't Wall Street." Darrell has recorded more than 30 albums of his own in addition to working with such illuminates ans Van Halen, Bon Jovi, The Five Blind Boys of Alabama, Rick Derringer & Billy Idol. All songs were written by Kevin Wayne, except the Civil War era classic "Follow The Drinking Gourd," a traditional tune that was inspired by the Underground Railroad operation to free the slaves. Album cover photography: Doug Luckey. SPECIAL THANKS GOES TO: LeJaz and Barking At The Aunts. Look for both these fine gentleman's music on Bandcamp! For the hours of putting up with my questions, rantings, ravings & being my unpaid consultants. Without whom, this album probably would have been made anyway, but who likes doing things by yourself? 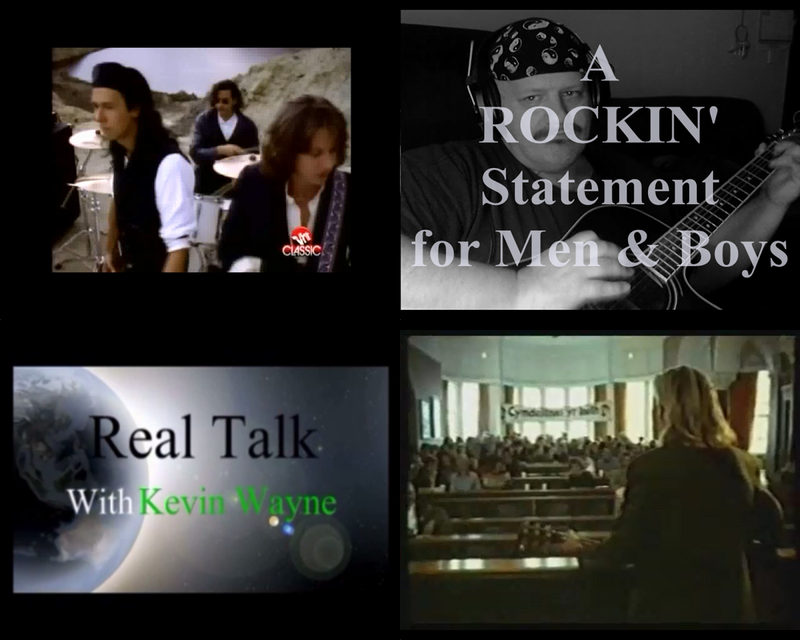 Kevin Wayne: Lead Vox, Acoustic Guitar, Lead Guitar solo on "A Part Of You" and "Beatitudes," Guitar Harmonics on “Faith.” Electric Rhythm Guitar on "Street Corner Rock Star." Harmonica on “Faith,” "Hello (I'd To Be Your Friend,)" "Live For Today," "Follow The Drinking Gourd," and "The Rose of The Streets." Darrell Mansfield: Harmonica on "This Ain't Wall Street"
Debbie Day: Intro, Background vox on "Beatitudes." 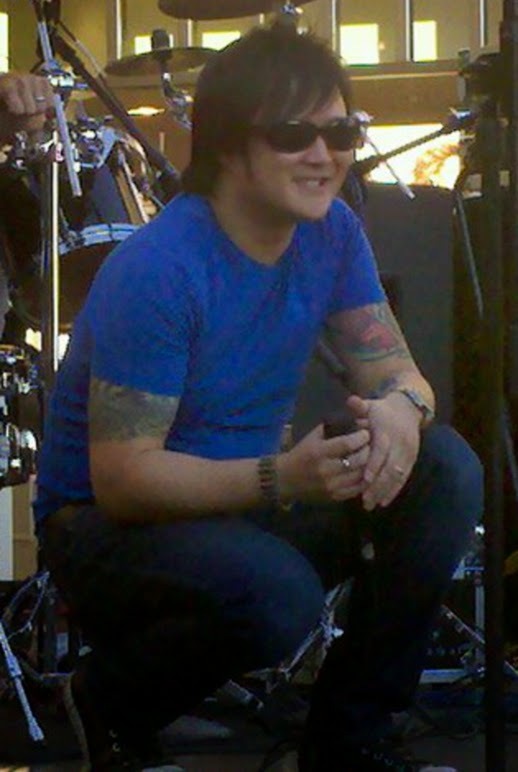 BGV on "Live For Today." LeJaz: Tambourine loop on "A Part Of You" & "Faith." BGV Edits on "Beatitudes." Barking At The Aunts: Live Tambourine on "A Part Of You" & "Faith." Nigel Cuff: Tambourine & Shaker on "Follow The Drinking Gourd," Tambourine on "The Rose of The Streets." Rainee Perdue: Background vox on "Beatitudes." Emily Imes: Background vox on "Beatitudes." Troy Botel of Useless 'N' Pointless: Git Solo on "Street Corner Rock Star"
Ken Brewer: Organ on "Live For Today." 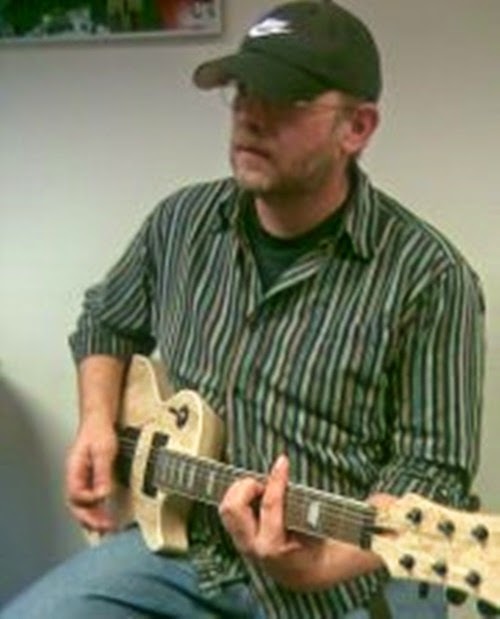 Kevin Hahn, owner of Opal Studios: Bass, Electric Rhythm Guitars. Backing vox on "Hello," "Follow The Drinking Gourd," and "Street Corner Rock Star." 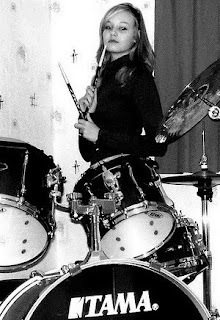 Thom Sullivan: Classic Rock style Drums. 80's MTV sensation The Alarm is recording a song to benefit the Hadassah Bone Marrow Donor Registry in Jerusalem, Israel. And they're inviting whoever wants to be involved to join in. So I wrote & recorded 1 verse for the Rights of Men & Boys & submitted it last week. Kevin Wayne participates in Jack Black/Tenacious D sponsored contest! Back for its second year, Festival Supreme is a Music and Comedy festival curated by none other than Tenacious D.
They are inviting musicians and comedians across the U.S. to submit a comedy song in the spirit of the festival for the chance to perform it on stage at the Shrine Expo Hall & Grounds and receive a cash prize. Participants must be available to travel to Los Angeles the weekend of Friday October 24th and Saturday October 25th, 2014. 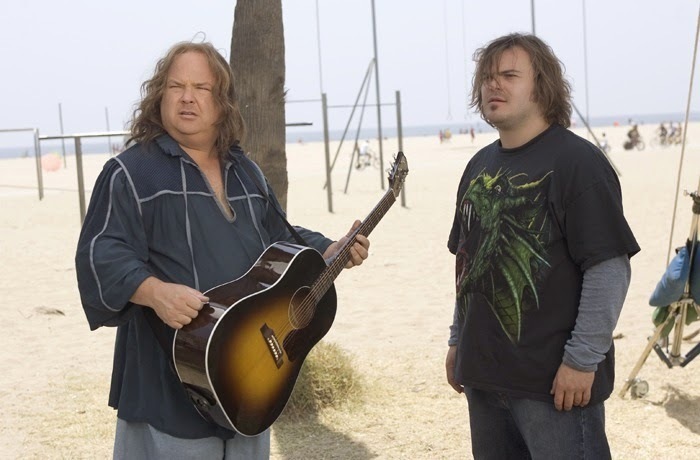 All of the submissions will be judged by Jack Black and Kyle Gass of Tenacious D.
"A chance for Jack Black to hear my music!" 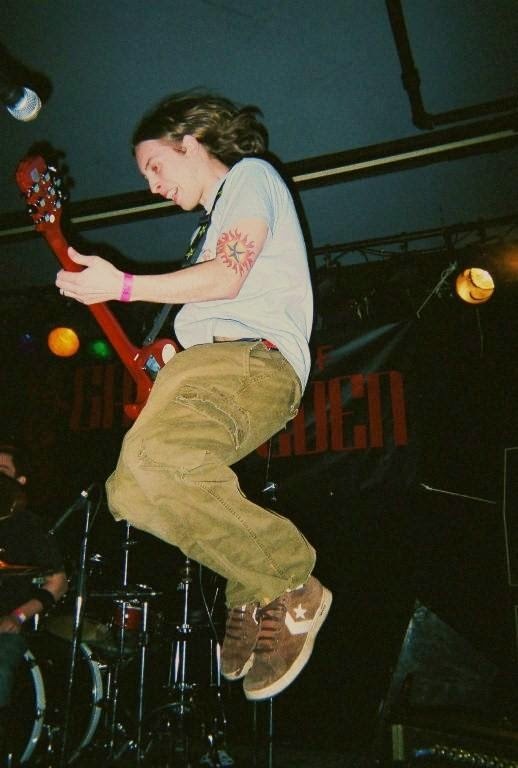 was one reason Kevin decided to get into the act and submitted the song "Festival Supreme" a late entry to the contest. 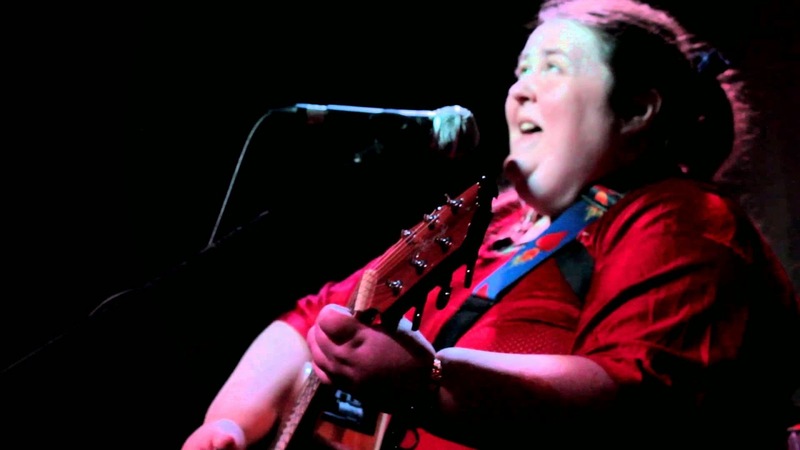 The song is a humorous tale of an encounter with a Strumpet in an elevator, partly based on a real-life experience. But will it be dirty enough for "The D" & the Festival Supreme crowd? Winner to be announced Oct 1st! "Originally I had posted a crappy recording with me singing in a headset condenser mic from Radio Shack. But then I realized this wasn't a half bad little tune, so I thought I'd put a little effort into it. Just to showcase the lyrics & the overall song a bit better. This was inspired by a true story, only in the real world, I did tell 'Sleazie' to get lost and meant it." You can take off with me to the Festival Supreme! You ho'in your own arse to get to Festival Supreme! I got out and thumbed my own ride to the Festival Supreme! We're all running off to the festival supreme. 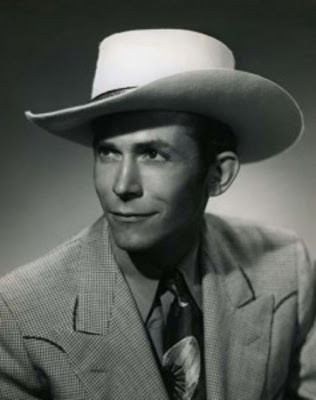 One of Kevin Wayne's previous attempt's at breaking into the Country market as a songwriter, the song Rock 'N' Roll Is Going Country has been turned into a full-production demo. Influenced by Johnny Cash, Dwight Yoakam & Roy Orbison, the song tells a story of Jimmy, a busker who travels the country trying to make a living playing wherever he can. Through a turn of events, Jimmy is discovered as an artist and sent on the road to stardom. 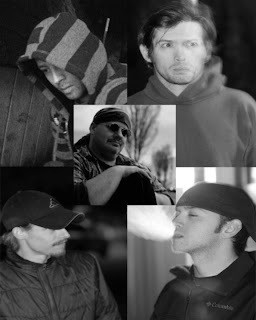 The song was produced by Mark Riddick Productions in Nashville, TN markriddickproductions.com The origianl singer on the project was Red Marlow. UPDATE: 08/22/2011 - More recently, Kevin cut his own vocal for the song and released that version in late August. Now the song is closer to the original Roy Orbisonesque vision he had in writing it. Press play to hear Rock 'N' Roll Is Going Country now. The Rose Of the Streets Album Project: Is it Morning yet? I'm sure that whine Brian Wilson of the Beach Boys was about to finish up the 40 - year delayed Smile album that was supposed to have been released long ago, he had a similar question on his mind. As well as Axl Rose, when he was finally getting the long-awaited Guns & Roses album Chinese Democracy album finished and ready for release. I'm sure he was asking the same thing I am asking now. In the year 2000 I began recording an album. I was using the home-built studio of a friend of mine's who lives south of the Portland Metro area way out in the country. I had no idea what I was doing. To be brutally honest, neither did she (although she had more experience doing music as a whole than I did at the time.) Some nice arrangements came out of those sessions, but nothing ever approached CD quality. I chose to not release them on an audio CD, but I put them on the Internet where they have remained ever since. Well, until I came up with arrangements that I liked better. If you are sampling through the .mp3 player on the left sidebar of this blog, the recordings of Beatitudes & Live For Today are from those days. I hope to replace them with sparking New Rockin' tracks soon. The music I was working on back then - even though these are much the same songs - would have taken on a totally different direction if I had released them as a commercial album. The movie "O Brother Where Art Thou" was what I was digging on at the time. Yeah, me and Kid Rock both agreed that the Sound Track was the best CD of 2000! So I had some songs that were acoustic only whit no drums, others with full instrumentation. Tired to go for a folksy-bluesier feel. Maybe I thought it was a quick way to get a project done. But when I heard the final masrers, I knew I couldn't invest in making an actual CD out of them, so I never did. But ten years later I'm returning to the original vision I had, after getting a renewed and reconnected interest in Garage Rock. Six of the songs I was working on back then: "A Part Of You," "Faith," "Hello," "Beatitudes," "Live For Today", and "The Rose Of The Streets" are carryovers from the 2000 -2004 sessions. The title cut to "Rose" was written during the sessions, inspired by a homeless girl whom I used to let crash at my place. I'll be laying down the bass and drum tracks at Opal Studio in Portland. 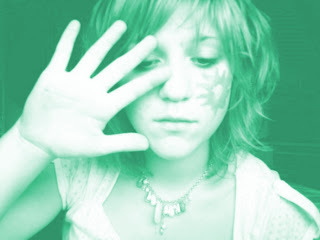 To hear demos of all the tracks I will be working on, go here. 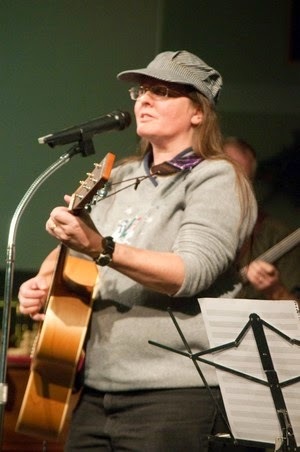 Speaking of being homeless, it was during those years that I was involved as a Music Minister for an outreach to the homeless spearheaded in conjunction with the Mennonite Church. 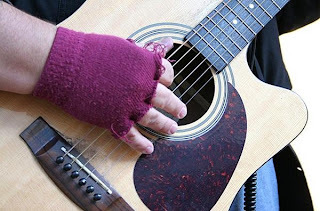 back then, i don't know if you could call the songs I was working on anything more than just Contemporary Christian songs for those involved with the Homeless. In fact, most of the songs really were just ones that I had written in times past, but grouped them together because they seemed to revolve around a theme of the poor, needy, and dispossessed. or at least bore some semblance thereof. But they weren't necessarily my experiences. Only the song "Rose Of The Streets" was written about the experience of an actual person that the theme of the album was (and is) about. To understand what this is all meant to me, one needs to realize that I, a guitarist and songwriter who sang for the Homeless wound up Homeless myself. In the ensuing years, and due to a long series of circumstances, I would up out of work, depressed, and in need of housing. I was up desperate to get housing to avoid being on the streets. I played music for spare change in Downtown Portland. Some of my adventures from those days will be included in an upcoming documentary being filmed for release on PBS. I wrote a few songs about my own experiences, which will round out the album: "Street Corner Rock Star," "Simpli 'N' Angel," "This Ain't Wall Street." More songs related to these events will be on future projects. The slavery folk-song "Follow The Drinking Gourd" will be added to the mix, and given a Rocking approach. I chose it as a token Folk-Spiritual in place of Wayfaring Stranger, which I had originally intended. But it's like everyone & his dog has done that song by now! Decisions will be made following the creation of the rhythm tracks as to how to go about finishing up the songs. Do I record all the other instruments here at home? Do I finish it all up at Opal? A combination of both? I keep upgrading my equipment and finding ways to improve my sound. My other current project, "Pictures Of You" will feature a vocal I cut right here in the privacy of my own living room. Final master should be in my hands any day now. I hope to have the whole Rose Of The Streets album done by this Fall. The Morning can't come soon enough for me. Pictures Of You is available for purchase on Kevin's SoundClick, Bandcamp & Reverb Nation sites for only $0.75 cash. 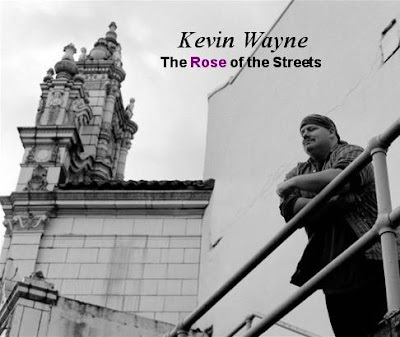 This year of 2011 promises to see more of Kevin Wayne emerging from the shadows as a formidable songwriting force. In July, time is already booked at Opal Studios for beginning the final recordings of the long-delayed album The Rose Of The Streets. One has to liken the delays in this project with famous ones such as the Beach Boys Smile album, or Gun's & Roses' Chinese Democracy, both of which took years before they were finally released. But now coming even sooner is the release of Kevin's version of Pictures Of You, a song originally written for the General Market. 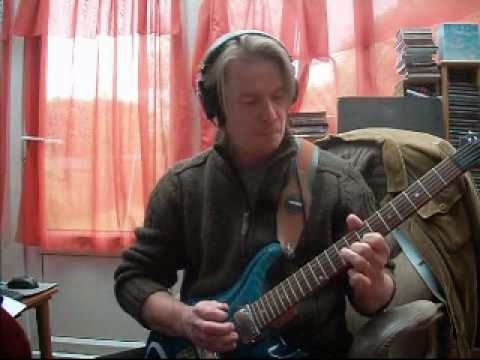 Co-produced with UK Songsmith Nigel Cuff, this will prove to be a foretaste of good things to come as older ideas for songs are finally realized. "Originally my idea was to have a Female vocalist do Pictures Of You," explains Kevin. "But Nigel heard the vocal track I provided for him and said it was pretty darned good, and that I should try it with me singing the song instead. So there you have it!" Kevin got the idea for the lyrics to the song by reading over the blogs and looking at the artwork of many Goth-Emo bloggers & general teens & twenty-somethings on MySpace & Tumblr. "Sort of a love for poetic imagery and plays on words- the way Youth tend to express themselves from the heart, when given an uncontrolled forum, it's just simply amazing" says Kevin. "Also the more that I listen to the lyrics, the more I get the feeling they foreshadowed a recent relationship of of my own." Some things you never expect to find yourself writing about. Today I'm doing one of them. My good friend and Christian Brother Mark Brewer passed away this month, while at his townhouse home in the country in Dayton, OR. 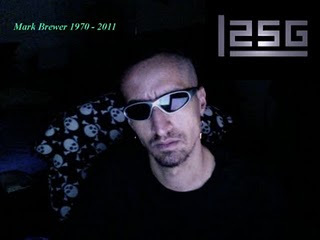 During his last days on earth, he was working on his 1st album under the auspices of his musical identity, 25Gague. Unfortunately, he never finished this ambitious project, a Rock Musical based on the turmoils of his recent divorce. To hear the in-progress recordings of this album & hear his music streaming live, go to http://members.soundclick.com/25gauge. Mark wrote on his SoundClick member profile: "Born with a heart condition Docs said I wouldn't make 4 months. Almost 40 years later still kicking it. Thank you Lord Jesus for watching over me and protecting me." Indeed, all of us who were his friends knew Mark struggled with his heart problems until the end. But somehow in between all of the repeated trips to the emergency room with chest pains, he managed to turn out the basic tracks for a solid, adventuresome Avant-guard Rock Album. To my ears, it recalls bands like old PiL or MX-80 Sound. 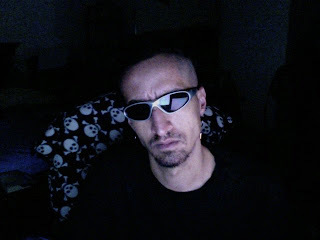 But Mark considered his influences included Rock/Industrial music such as NIN & Ministry. And at least one person has noticed a resemblance to Pink Floyd. 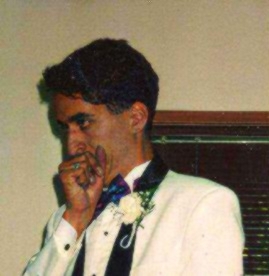 Mark had a bizarre sense of humor that wouldn't quit, as everyone knew. I met him as a prospective student for George fox University in early '92. As an RA (Resident Assistant) for his dormitory, he hosted lots of interested 17-year old kids during that time, and so when he came to greet me on campus, he was not expecting a thirty-something guy with a guitar. As a result, upon our meeting he walked up to me and asked "So... you must be Kevin's Dad?" From then on, Mark always had fun with that when we were talking with other people. "Hey I have a song about Kevin's Dad called 'Your a lot cooler than your son.' Kevin I remember that day I met your Dad, and he came to visit Fox for you. He was awesome!!! We went swimming, and he played his guitar. Good times!" - is what he wrote in a mutual email to myself and a couple of other fellow home recorders. 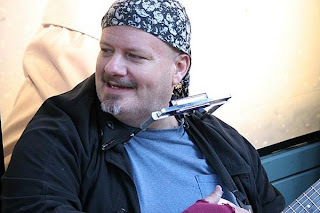 He named his "band" (mostly a one-man project) 26Gauge as he put it: " from the size of needle I used when I injected prescription pain killers into my thigh." Of his influences, he wrote "I'm inspired by Bloodgood, Judas Priest, Saviour Machine, but I can really relate to Trent Reznor of Nine Inch Nails, he lived in Mercer, Pa about 45 miles where I lived. He grew up with Fire and Brimestone from his Granma. As I did from my Preacher Dad. His lyrics are very deep and painful." 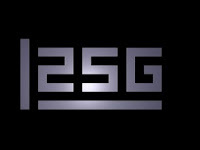 Click on the .mp3 player to hear Kevin's collabs with 25Gauge & UNP! Purchase "American Lies" - UNP w/Kevin Wayne as a bonus track on the album Water, exclusively on SoundClick.com. Two upcoming collaborations with Kevin Wayne and other recording artists are currently in the works! The upcoming CD release from east Multnomah county rockers Useless 'N' Pointless (UNP) will feature a guest harmonica track from Kevin. UNP laid down the tracks for their upcoming release titled "Water" on Sat March 13 at Opal Recording Studio in East Portland. "I've heard most of the tracks they are busy working on, and it spells good things for the progression of their overall sound" noted Kevin, who dropped a blues harp part on the UNP original "American Lies." "Lots of it reminds me of Alice In Chains or even The Clash. They'll go far with this one." 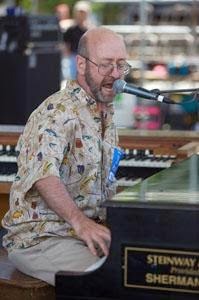 just outside the Portland Metro area, in a little secluded spot called Dayton, where he collaborates with his son Brendan Brewer and other artists in his vision of musical alchemy. The project is envisioned as a Rock Musical centered around recent family issues in Mark's life, as a sort of catharsis for happenings of days gone by. Tentavily titled "I'm Coming Apart," the album is to feature the 25G version of Remember. Useless "N' Pointless expect their EP to be available soon. 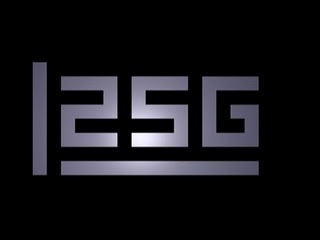 The project by 25Gauge will hopefully be completed by the end of this summer. Kevin hopes to feature collaborations with both bands on a future release of his own. 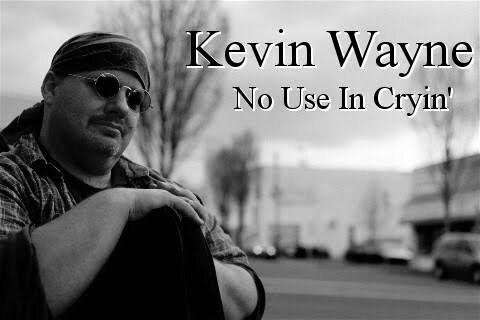 CURRENT ALBUM: What's been cooking at the musical kitchen of Five-Star Musical Chef, Kevin Wayne? Last April, I released my Internet Album, "No Use In Cryin" 12 tracks 45 minutes running time. 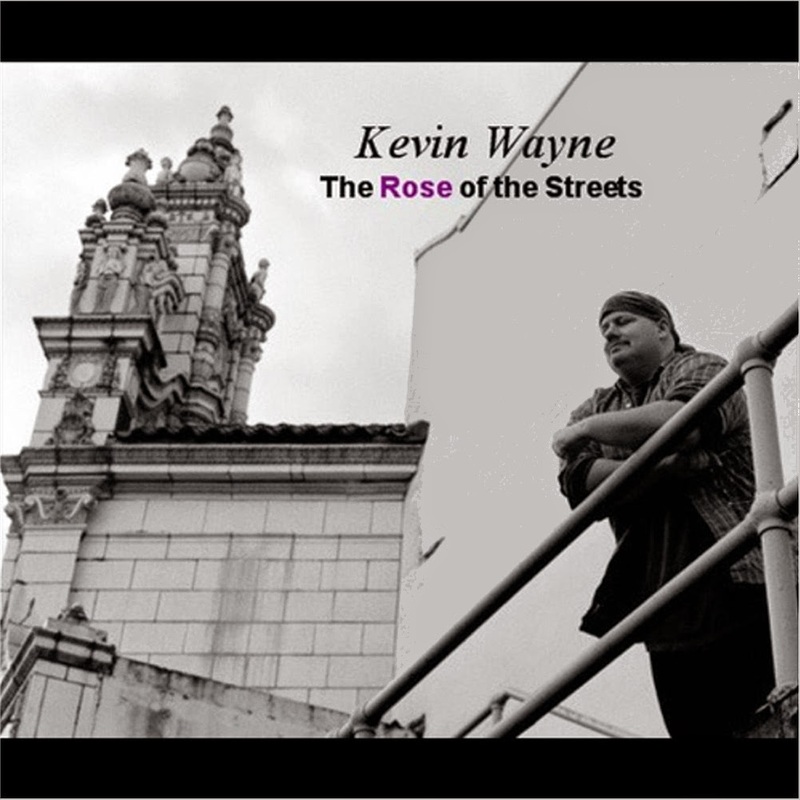 This album is available for purchase & download for $7.99 at my SoundClick.com Store, or a hard copy is available for $8.99 (shipping included) by PayPal-ing me your payment & shipping info to KevinWayne@gmail.com. I put this collection of songs together from the best of the most recent recordings I had been working on. Just stuff I was tinkering with on my PC. The relase of "No Use In Cryin" will coincide with an upcoming ew film documentary that I'm featured in about Street Musicians in Portland, OR. NEW ARTIST COVER: My song "Pictures Of You", a composition from the days when I was trying to write for the General Market, will be covered in an upcoming release by Dutch female vocalist Miriam Brinkman (or Mirjam, as she's known in her homeland.) 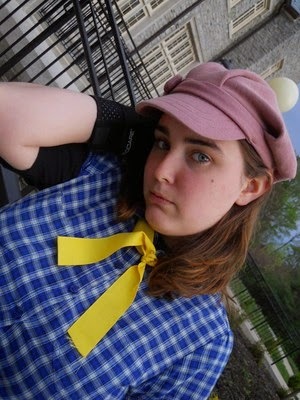 The song was originally written with an up an coming Teen-pop artist in mind, sort of an Avril Lavigne type breaking into serious Rock. Miriam has been racking up live performances and TV appearances in the Netherlands, and doing alright for it by all accounts! 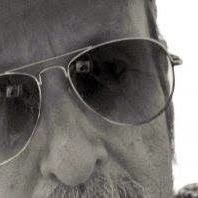 NEW RECORDING PROJECTS: And finally- Salem, OR area producer Charles Normal is being talked to about a couple of possible recording projects involving myself. One would be the Soundtrack/Companion CD to the upcoming Artbeat of the City movie, and the other is a new album by myself. 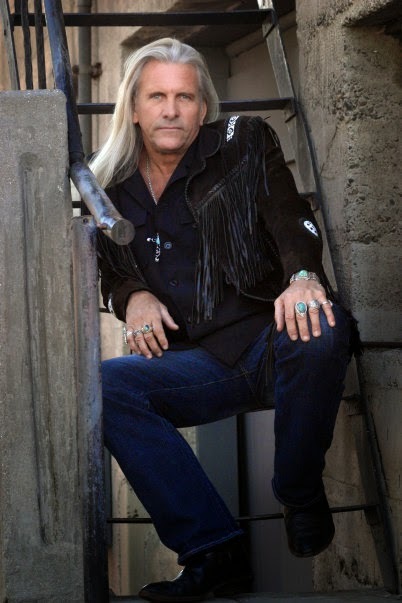 Trust me when I tell you that Charles is world class, having toured & recorded with Gun's & Roses, Frank Black of the Pixies, Larry Norman, and has won awards for his production of Indie blues artist Mark Lemhouse. Keep checking for further updates.